Take the TransCanada Highway west to Banff. After you reach the Banff National Park Gates, it will be another 15 minute drive (15km). Take the First Banff Exit. Turn left at the stop sign (onto Banff Ave). The Rocky Mountain Resort is approx 1 minute (1km) from the exit. You will find the Rocky Mountain Resort on your left. Feel free to pull up out front and check in. 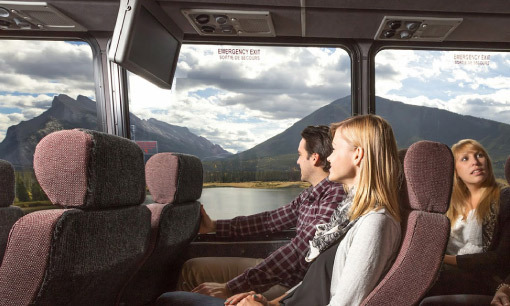 Sit back, relax and enjoy express service from the Calgary International Airport to Banff with Brewster Banff Airport Express. With frequent departures, large viewing windows and a flexible 90-min cancellation policy, there’s no better way to access the incredible adventures of Banff National Park.